Are you a cat lover like me? 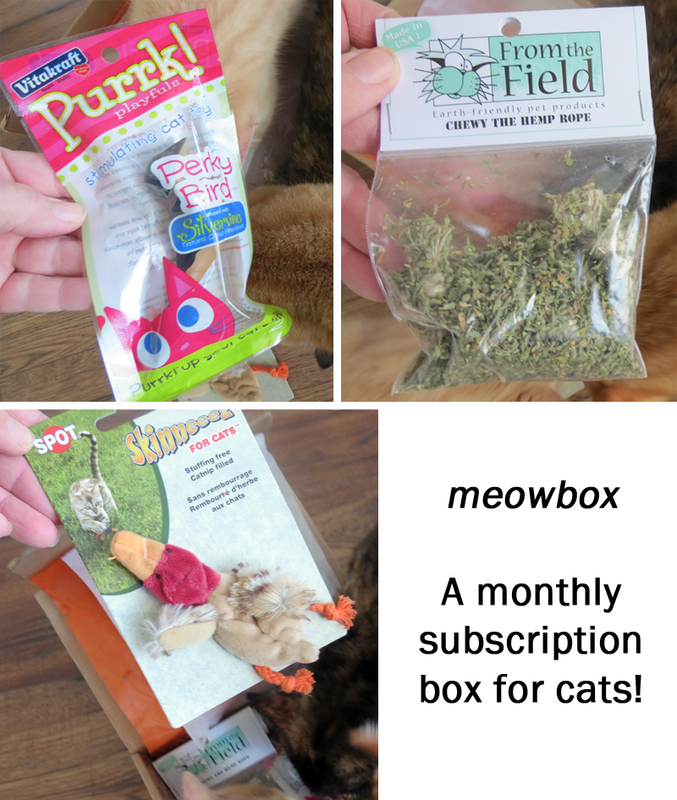 If so, a cat subscription box is absolutely perfect to keep your cats interested and happy. Between my parents and us we have a total of 23 cats! 23! We take in strays and cats that need homes. We are lucky to live where we have warm toasty barns for them. Of course, a few tend to make their way in the house but many of them love the outdoors. 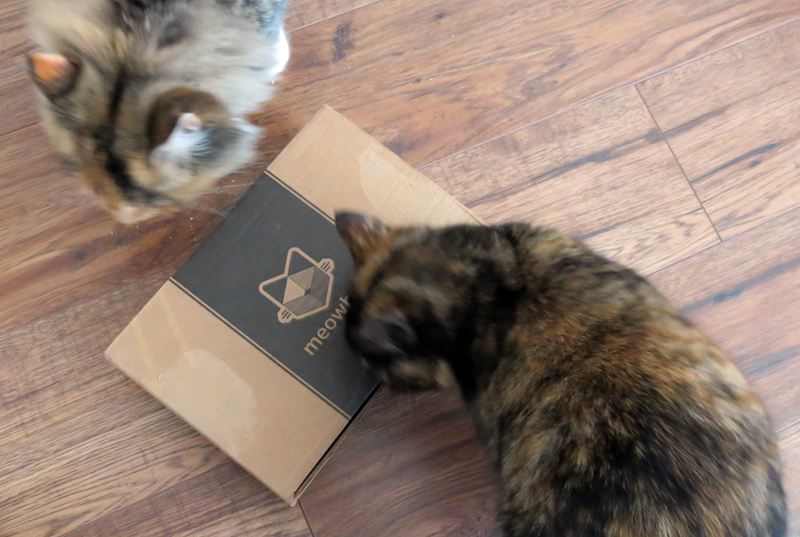 So, I was very excited when I was sent a meowbox for them to try. 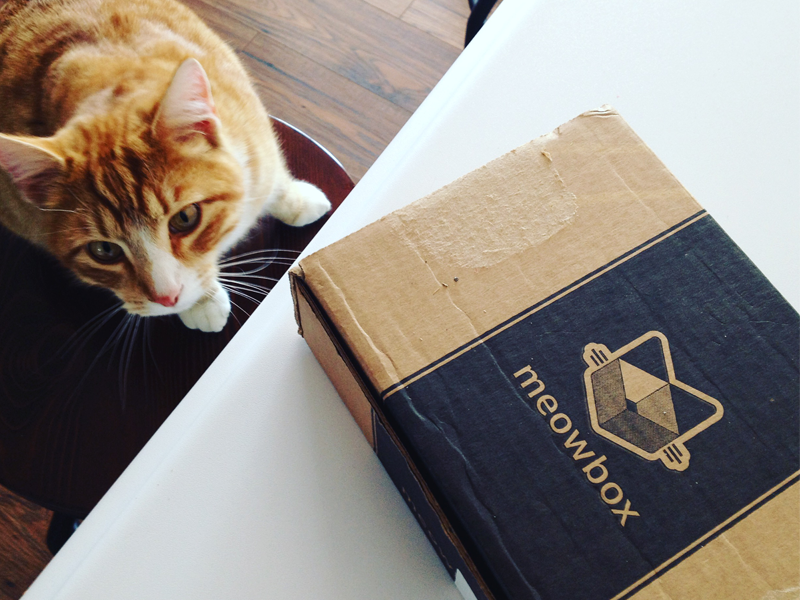 meowbox is a cat subscription box filled with surprises, fun unique cat toys and healthy goodies for your kitty, delivered to your door every month. I love how they personalized my box for all my cats… Soft Paws, Cash, Skippy JonJones, Cledus, Milly, Alfalfa, Ducky, Callie, Stinky and the cat we’ve had for 10 years… good ‘ole Sylvester. I actually ended up taking it over to my parents because they have 7 fun kittens and I thought they would have more fun with it than our lazy cats. Purrk! Playfuls Stimulating Cat Toy – Frisky Fish – Puurk up your cat’s life! Infused with Feline Silvervine, which is a natural alternative to catnip. Bio-Pro Research – Urine Off Cat & Kitten Formula – Concentrates work using specialized enzymes and bacteria to break down the components of urine that cause stains and odor. From the Field – Chewy the Hemp Rope – A favorite amongst cats everywhere! The double knotted hemp ropes toy come in a reusable bag and is marinated in potent all natural catnip. Purrk! Munchies KitBits – Semi-Moist Treat – Flavorful morsels, only 2 calories per treat! Contains a pinch of organic catnip. SPOT Ethical Products – Skinneeez Mallard – Give kitty hours of pouncing and batting fun. Unlike regular plush cat toys, these contain no poly stuffing for your cat to rip out. Of course, no box is complete without catnip. The cats were rubbing on the box before it was even opened. Chewy the Hemp Rope was full of catnip! They ripped it open before we got the chance to! If you have never experienced catnip with your cat… what are you waiting for?!? They are so intoxicated by the scent that they literally go crazy! Honestly, cats could get a big box of catnip each month and be satisfied! I have never met a cat that did not go completely bonkers for it! Our meowbox was brimming with yummy cat treats and fun cat toys, specially selected for quality and uniqueness, to cater to our cat’s discriminating taste. For each meowbox purchased, they donate a can of food to a shelter cat! Or course, a cat nap was in order after so much play time! 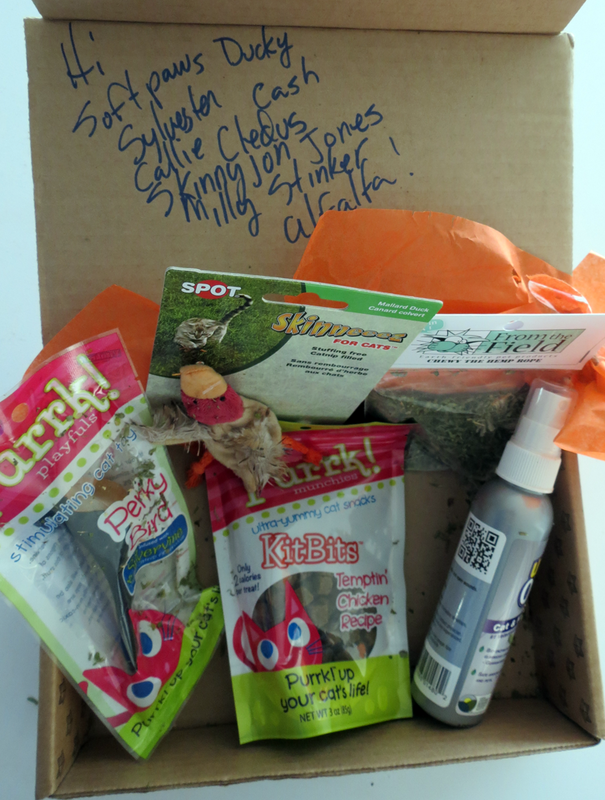 Order a goodie box for your kitty, stuffed with fun toys & tasty treats! 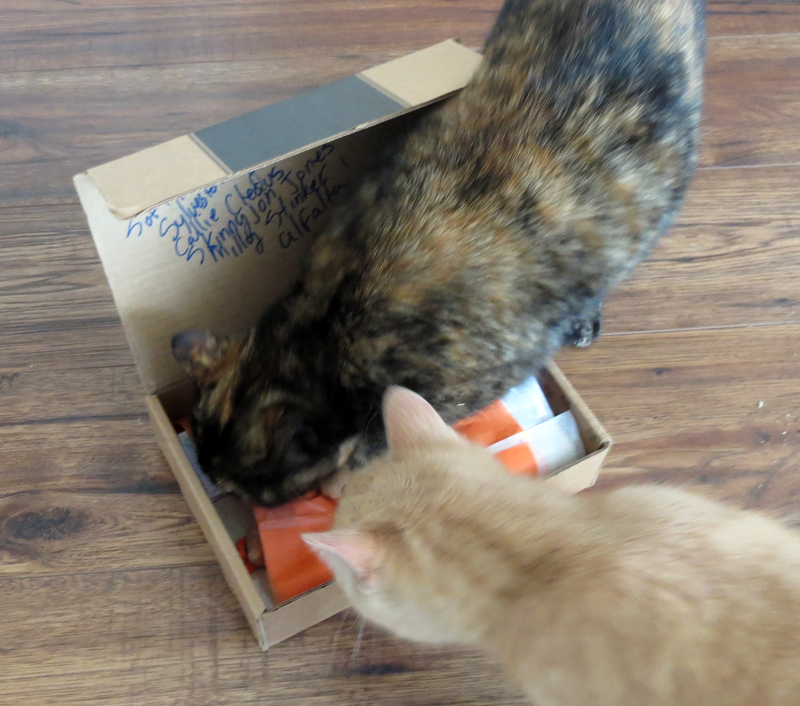 Check out the video below of our cats enjoying their meowbox! meowbox is my absolute favorite monthly subscription box. My cats love it! Love the pictures of the zoned out cats after their catnip fest. What beautiful, healthy cats! I too take in rescue cats & build them up ready for re-homing. I’m afraid my own moggies would be more interested in the box than the contents! Your kitties are just gorgeous! 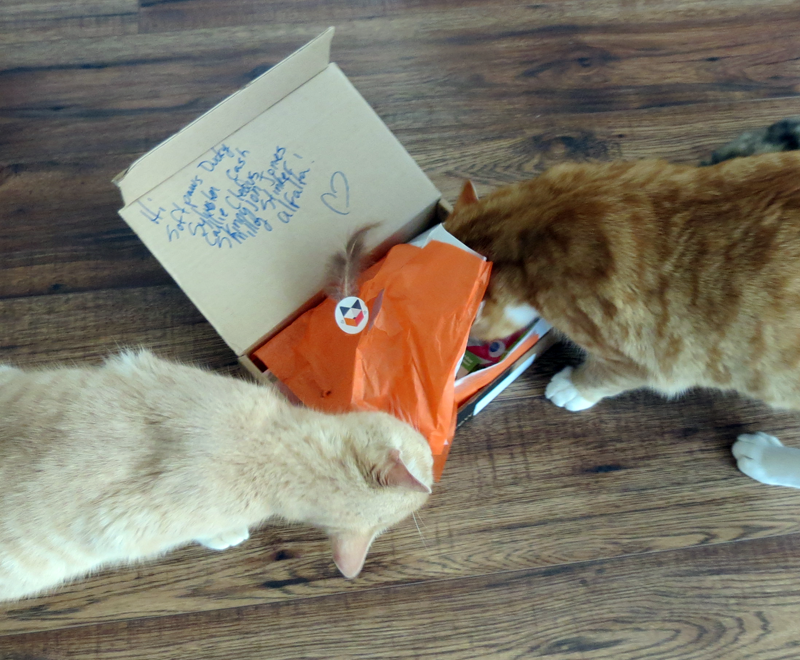 I’m glad they like the Meowbox; I’ll definitely want to check this out, thanks for posting!